The following is a transcription of the above video. Please reach out to us here with any questions or concerns. 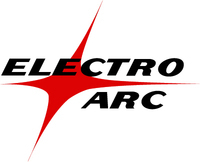 Hi and welcome to Electro ARC. Today we’re going to be demonstrating our DC direct current output disintegrating transformer which is optimally suited for removing broken carbide tooling. We have a broken 12 mm carbide drill selector. We’ve determined that we need to use a 312,000 electrode to remove the broken carbide drill. The electrode is inserted into the disintegrator head. The machine is equipped with a disintegrator DC head and automatic servo feed, stop and start switches and depth stop. To begin the process i bring my electrode down on the broken tool, drop my splash bag, cover the edges with a rag, and using the start stop switches I begin the process. It tells us that we need 18 up through 9 by 32 in. Our machines can meet the needs of any part size shape or configuration. We’ve gone through and removed some of the loose bits of carbide drill left in the hole and there’s still a little bit of the drill down in the hole that’s not loose yet. So we’re going to take the disintegrator back down and we are still going to go with 1 in increments. As you can see, the head backed out and that’s indicating that we have another loose piece of drill bit, so I can go in there and should be able to rummage around and find it, lets get our head out of the way and then with our compressed air we can clean out the hole and I can see bits of material down in there for us to pick out with some pics and pliers. What we’ve done here is using our pics and and needle nose pliers is bring the chunks of the drill out of the hole and got to the solid drill and using a twisting action removed it from the hole leaving a clean hole undamaged for future use.